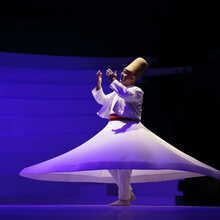 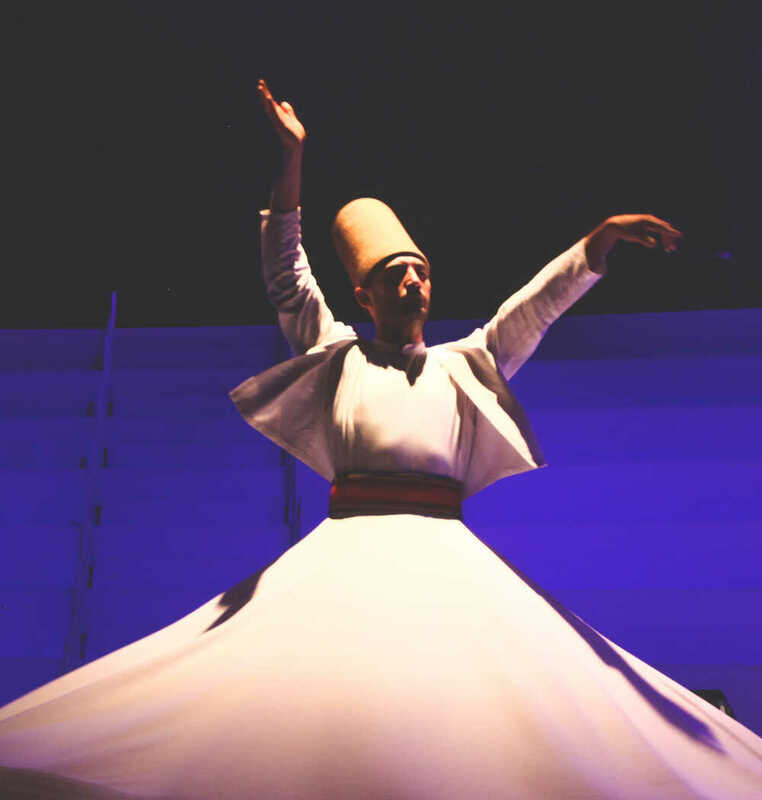 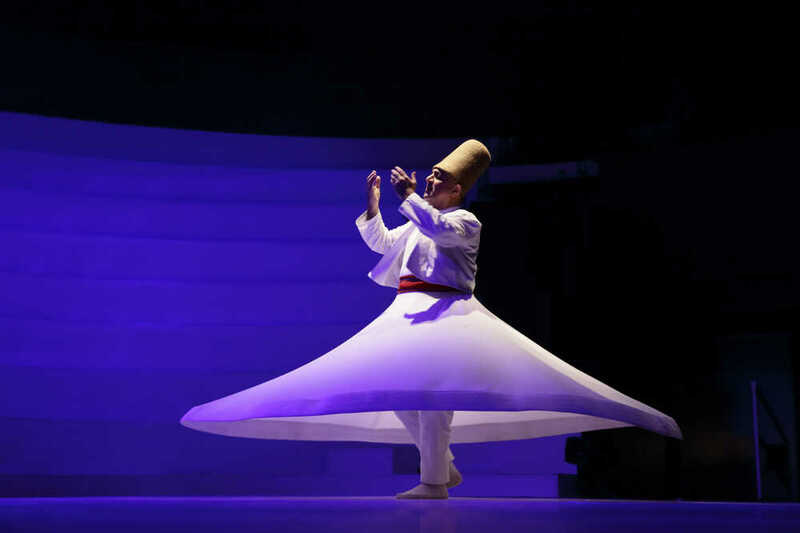 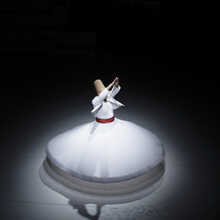 With their counter-clockwise semah dance, the Sufis strive for harmony with the cosmos. Dance is an expression of desire for reunion with the divine. 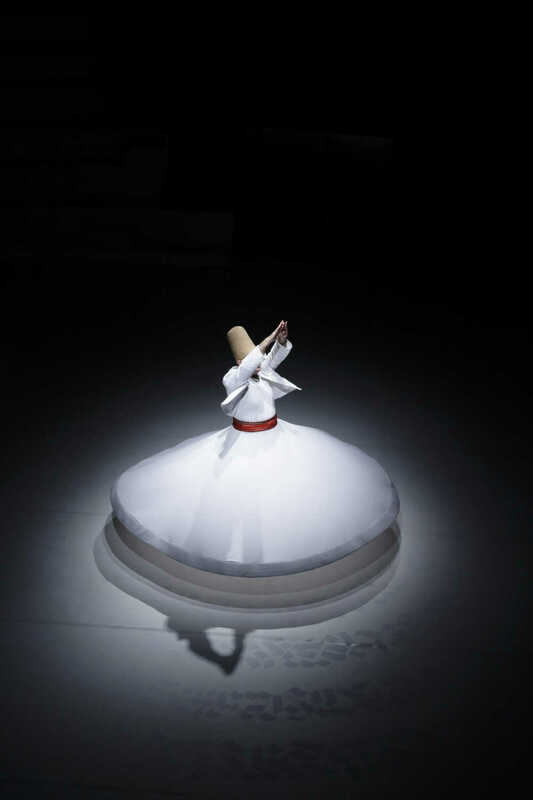 The ritual arises in the 13th century in Konya in Anatolia with the Mevlevi Order, followers of the legendary mystic Rumi.